Gov. Scott a year ago launched his New Republican PAC, which described its mission as re-branding and re-inventing the Republican Party to help Donald Trump's agenda, as well as appealing to young and Hispanic voters. The Democratic leaning group End Citizens United alleges in its new FEC complaint that Scott's New Republican PAC was merely a means for Scott to skirt federal restrictions on unlimited donations and corporate donations while he put the pieces in place to challenge Democratic U.S. Sen. Bill Nelson. Prospective candidates exploring possible campaigns are supposed to create "testing the waters" committees that must abide by contribution limits of $2,700 per individual. 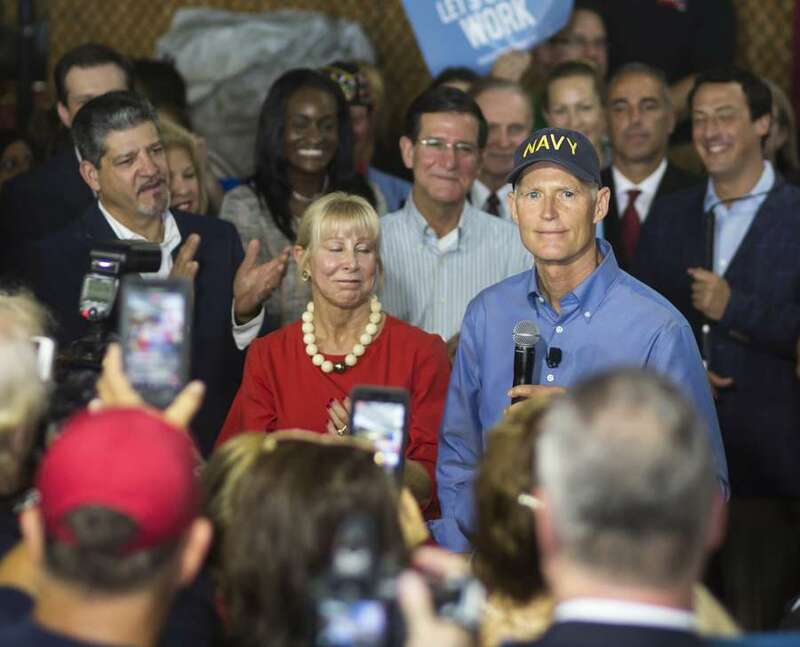 "(T)he very same day that Scott declared his federal candidacy, the Committee revamped its website, suddenly transforming itself from a committee dedicated to supporting President Trump to one dedicated to supporting Scott. This timing cannot be mere coincidence; instead, Scott and the Committee plainly prearranged this transition," the complaint states. "Thus it appears as if Scott consented to the Committee spending funds on behalf of his candidacy, triggering candidacy for Scott on a date earlier than the one he declared. But regardless of when he triggered candidacy, it appears as if he has been using the Committee to improperly pay for expenses associated with his exploratory activities and his candidacy for Senate." The Scott campaign scoffed: "Typical Democrat smear tactics. When they don't have a candidate with a record of accomplishments to run on, they go negative out of the gate. The fact is that Governor Scott has always, and will continue to, operate his campaign activity transparently and in accordance with the law. The only political entity the governor is in charge of is his campaign for U.S. Senate." Even before formally kicking off his campaign Monday, "he was already manipulating the law to serve himself. He's used shady political tricks to advance his own ambitions, and it's no wonder why Floridians don't trust him to look out for them," said End Citizens United Communications Director Adam Bozzi. "Scott won't be able to play Florida voters for fools and they see right through his attempt to rig the system in his favor."